There I was, sitting in a grey cold office across from a psychiatrist who appeared disheveled, bored and seemingly uninterested. I didn’t want to be there, but I had no choice. I was losing a grip on my ability to manage my life. 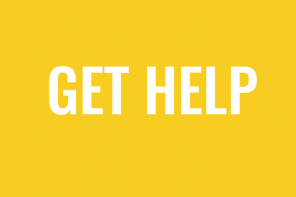 I couldn’t meet deadlines at work, keep up with household bills or organize my household. 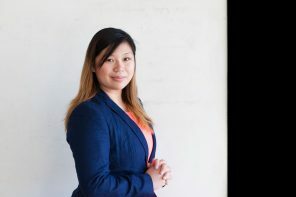 “How did I get here, “ I thought, as I slowly spewed through my notes of , distractibility, disorganization and forgetfulness that I’d been tracking specifically for this appointment, but before I could get to my third bullet point, my psychiatrist quickly interrupted me with a swift diagnosis. “Oh, you have Attention Deficit Disorder,” he said quite frankly while taking notes. I was a shocked, scared and excited 25-year-old to say the least. 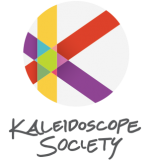 After spending a quarter of a century crumbling under the weight of depression, anxiety, disorganization and confusion for most of my life, the diagnosis felt like a glimpse of light had finally entered through a room filled with darkness. 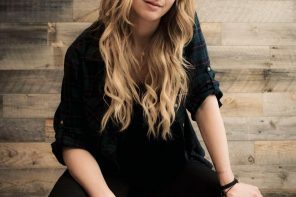 Like many women with a late ADHD diagnosis, I had mastered incredibly creative ways to hide my symptoms, like becoming a professional night worker bee, or having elaborate and pre-planned excuses for all the late or missed appointments. To be honest, I was not organizing my time at all. I kind of just went with the flow and naively depended on my memory to keep track of appointments. I faced a number of challenges by not using a planner to create a system to track my time. I constantly missed appointments, I racked up numerous late fees and looked unreliable when I missed deadlines. After my diagnosis, I became determined to create systems and tools to aid in my chronic symptoms. One of which was using planners to help me with time management and organization. Let’s be honest, writing out tasks for the week and time management aren’t the most fun things to do for anyone, especially for a woman with ADD. 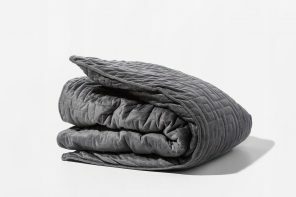 I remember feeling so deflated while initially shopping for traditional planners. I was left with little to no options, other than boring black or grey planners that didn’t reflect my bubbly personality or meet my need for creativity and distinct color pallet. 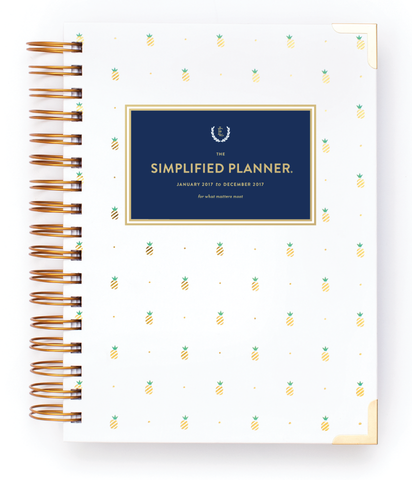 Then I found Emily Ley’s Simplified Planner: Gold Pineapple 2017 edition, in gold, navy blue and cream. 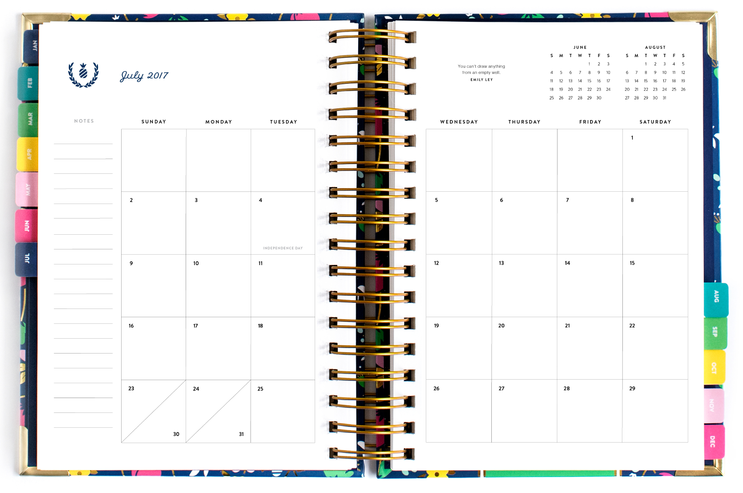 The colorful and chic design makes it a beautiful agenda for busy women like myself. The daily edition covers 12 months (with one day per page and shared weekend pages) and features a wire binding and luxurious Mohawk Via paper. Additionally, Emily Ley also offers stickers to help me prioritize my appointments and tasks. I love the simple organization platform that minimizes distractions. I am easily distracted, so a planner with too many unnecessary bells and whistles can easily deter me from my purpose. 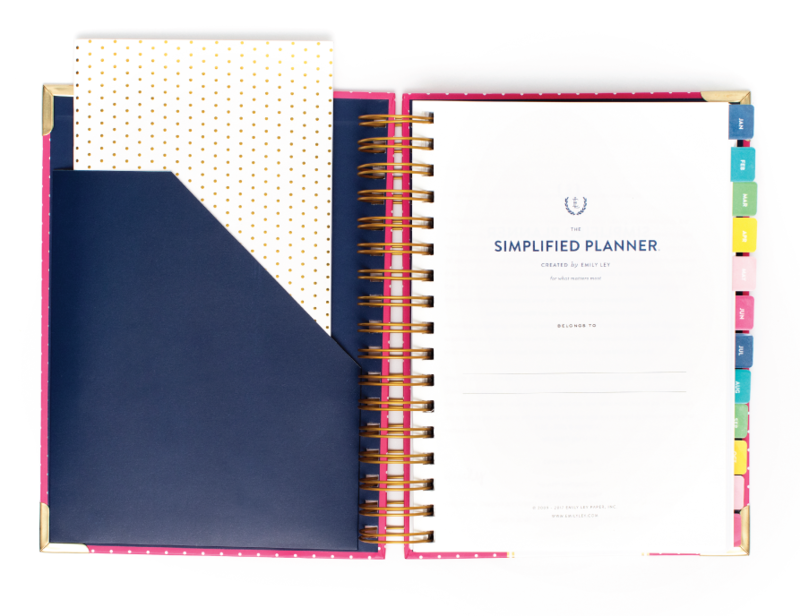 This perfectly designed, minimal planner is simple, chic and easy to maneuver. Its open college-ruled pages serve as a refreshing start to the everyday hustle and bustle of managing work and life, providing adequate space for listing task, events and notes. Inspiring quotes help me combat emotional turmoil of ADHD. Emily Ley’s Simplified Planner is like having a motivational best friend around 24/7. Each day offers profound inspiring quotes from unknown and known authors, such as “Don’t be pushed by your problems. Be led by your dreams,” by Ralph Emerson. Reading these powerful words on a daily basis serve as a source of motivation for me to embark on the day and the week during moments where I may be struggling with my symptoms. Using a planner has significantly improved my time management, disorganization and forgetfulness. I actually carry the Planner everywhere I go and synchronize it with a dry erase board at home. This allows me to always be aware of what’s going on no matter where I am. I also sit down with myself at least one a week or so and go over what’s i need to do and make lists of things that need to be done. Once these task are completed, I cross them off in my Planner. 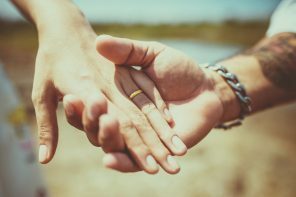 Before I would just say “yes” to everything, and then could not meet deadlines or follow through with promises. Now I am more transparent with people about what I can and cannot do. I definitely feel more calm and relaxed but I’m still a work in progress and I want to be very transparent about that. I still struggle on some days but I now can easily get back on track with the planner. Other people who don’t have ADD have said they have been inspired to get a planner because they’ve seen how I use mine. My friends and loved ones have definitely noticed a change and it makes me feel more confident. Before I would just say “yes” to everything and then could not meet deadlines or follow through with promises. I have become more reliable, and because I now track my time, I am more transparent with people about what I can and cannot do. 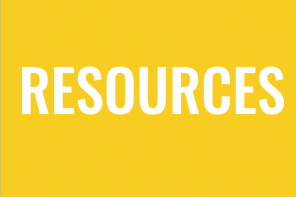 What organizational tools do you use to manage your schedule and to-do list? 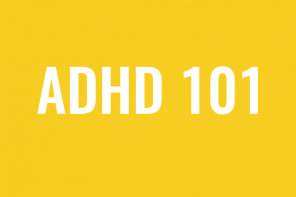 Let us know how you conquer ADHD chaos by leaving a comment below! 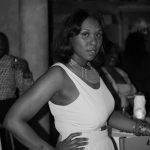 Eartha Terrell is a spoken word artist and a freelance writer from Ohio. 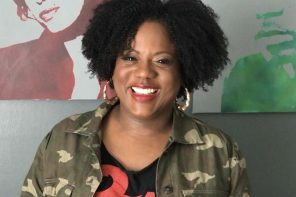 She earned her Bachelor degree in journalism from The Ohio State University and has interviewed phenomenal people, such as the late Dr. Maya Angelou, Grammy-award winning R&B singer Layla Hathaway and others. Read more about her ADHD experience by checking our her interview with us here! 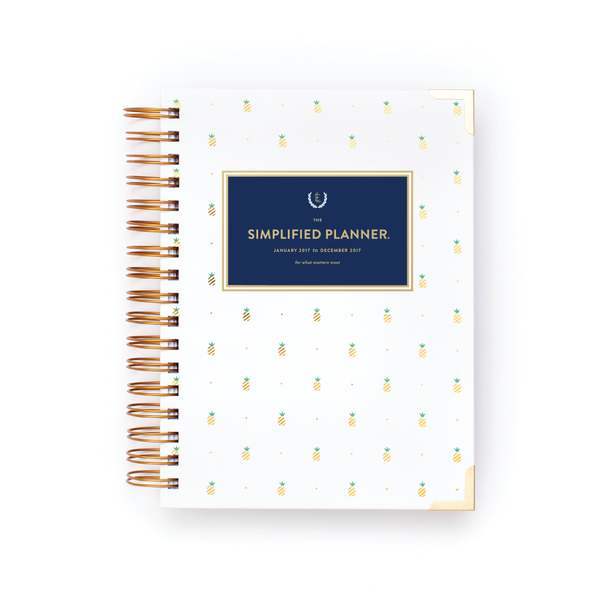 Emily Ley 2017 Simplified Planner Emily Ley’s mission is to inspire women to organize, simplify, and carve white space for the good stuff of life. The collection, built on the pillars of simple design, classic style, fresh colors and playful details, features organizational tools, office necessities, stationery and family-centric gifts.